Moving homes is hard. Moving home from one country to another, it is even harder. But I think the hardest is to be without a home which is what my current situation is. We reached India on 19th October, exhausted after travelling for more than 24 hours,(it is such a long long long way) bone weary, jet-lagged and wanting to run back to a comfortable place called home. Except, there was no home. The last of our belongings had been boxed and shipped, our lives neatly packed into cartons, labelled and despatched with cool crisp efficiency of an International relocation agency. It took me more than ten days to get my body clock set to Indian Time. Was I glad to back in India? I really had no time to notice as there were and still are a million things to be done. Right now we have been put up in a company guest house and we're trying to set up things from here. We have managed to find an excellent school for the children (they got chosen into four schools which was a pleasant surprise as many well meaning folks had warned us about relocating in the middle of an academic year and how hard it is to get admissions into a good school. The warnings were baseless as we discovered. Doors do open when you try hard enough). We are slowly setting up our home too (we finally signed the rental agreement two days back) and I hope to move into my own home next week, even though the stuff that has been shipped would arrive only by the end of November. They say that when emotion over flow poetry flows. Poems are often feelings poured into words. Just before we left UK, my nine year old daughter wrote an amazingly beautiful poem. It seems so apt , at the moment. And the bedroom has cool crisp sheets on the bed. My daughter's poem really tugs at my heart strings at this moment. Right now, it seems like heaven, as I wait to move in and create a place called home. ohh the poem is so touching ! reminds me of a similar poem my niece wrote about missing India. Hi Pritj...welcome back, good to see your blog active again!! Way to go, Purvi!! Like the way her imagination is taking shape...she seems to have Mama's gift of painting pictures in the readers' minds!! It is tough, but it will all fall in place soon, you'll see. You'll soon be able to recreate that warm coziness so beautifully reflected in your daughter's poem. Sooooo happy to see a new blog.. Been really missing it..
Take care! Happy Settling down! Seema;Thanks for the warm welcome :) yes feels good to be back. Manish:Thanks a lot! :) Send me ur number on mail and I will text u.
Congratulations on the school selections, your kids will be treasures for the school and I don't understand why anyone would discourage them. It's good to see you here again, Preeti. I totally salute your strength and patience with these moves! I can't even move to an apartment just few kilometres away. Talk about being absolutely LAZY! 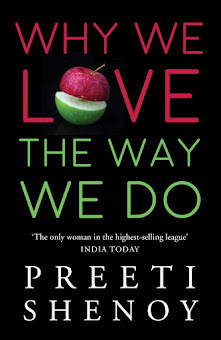 welcome to india, preeti. Findin a school of our requirement is a major problem and with that succesfully done, a major relocation headache would be off. Congrats to you on that. welcome back. it's nice to see you back on your blog and back in india, that too Bangalore. Your daughter has a beautiful mind, it comes as no surprise, you have nurtured her creative mind well. Please congratulate her on my behalf. BTW, which school did they get into ? 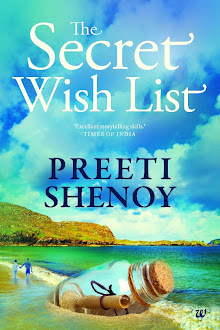 dear preethi - i have been away and hadn't read your blog posts. Took me by surprise that you moved back to India...re-read the post and all the comments as a way of pinching myself. good to know all is well!! Lovely poem... having made my 16-th move just recently I know what you mean. Hope you enjoy the process. Anish: wish you the same! Rohit: Are u in Blr too? Or are u saying that u want to move back here? i must b lying if i say..i jus stumbled on ur blog! thou' late..quite hpy to follow u..
the title attracts..m buyin one..jus a curiosity,it must hv gone thro'.. how did u prefer '34 bubblegums and candies' over '34 candies and bubblegums'? Hi Preeti! Wish you a happy settling down experience in India. I have been reading your blogs for sometime and really admire your writing style.. Looking forward to reading more from you soon. Sulo: Thanks a lot :) Read it. Could not comment as it was from my phone :) Such a pain typing on touch screen.